Today’s dynamic business environment presents enterprises that wish to stay competitive with a great challenge. This is further complicated by rapidly advancing IT capabilities and the crucial role that IT plays in most organizations - a backbone for realizing visions and goals. The problem of eliminating the gap between business and IT within enterprises, i.e. the problem of Business and IT Alignment (BITA), has been acknowledged as a contemporary challenge and actively elaborated by academics and practitioners. 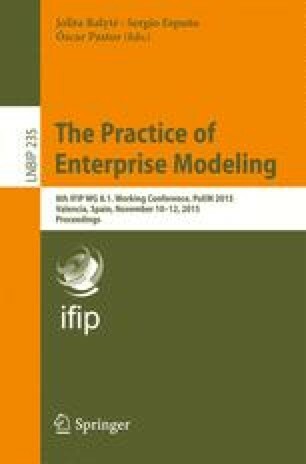 One practice that is used to facilitate BITA is Enterprise Modeling (EM), which is considered as a catalyzing practice for capturing, visualizing and analyzing different aspects of enterprises. This paper presents a framework that illustrates the role of EM in the context of BITA and suggests recommendations to deal with EM challenges.